When the David Beckham to Queens Park Rangers rumour first came about, there was plenty of umming and ahhing coming out of Loftus Road. Nobody was willing to confirm the rumour while plenty of people outside of the club were ready to ridicule it. Well a week on and we finally have an answer, Queens Park Rangers are interested in David Beckham and Tony Fernandes has instructed his board to look into signing the LA Galaxy midfielder. 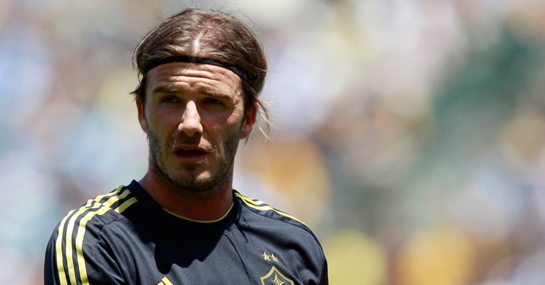 Beckham’s LA Galaxy contract expires in November and QPR would be able to sign the midfielder on a free when the January transfer window opens. There has been no word from the Beckham camp about his football future but it is believed he will end his time in the United States and if a starting spot in the Premier League is available, Beckham is likely to strongly consider it. Tottenham Hotspur may rival QPR for Beckham’s signature, but it’s difficult to see the 36-year-old featuring regularly in Harry Redknapp’s squad and if he did it would only be for the rest of the season. Beckham won’t be the difference between a team finishing in the top four or not, but he could have a big influence on a side’s relegation battle and with QPR available at 13/8 to be relegated, plenty of punters believe a relegation fight is on their hands. The arrival of Beckham in January would be a huge boost to the club and that feel-good factor could be the catalyst that keeps QPR in the Premier League.